Depleted by injuries and suspensions, the Sounders reached into their past to sign ErikFriberg, a 29-year-old Swedish midfielder. Coming off a dreadful 4-1 loss at Portland Sunday, the Sounders Monday signed 29-year-old midfielder Erik Friberg, 29, a Swedish international who played two seasons for the club from 2012-13. He will be added to the roster, probably within the next week, once his visa and transfer certificate clear. 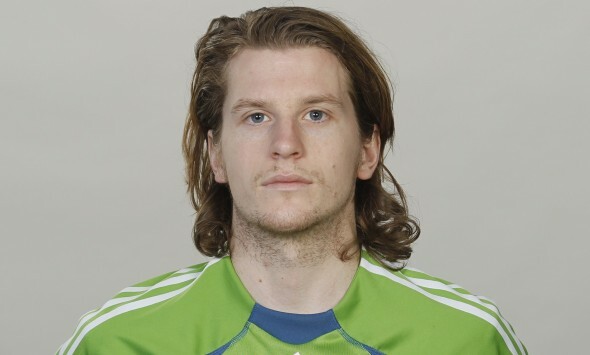 In his first stint with the Sounders, Friberg started 23 of 26 appearances and recorded one goal and two assists. He then moved to Swedish side Malmö, where he appeared 41 times from 2012-2013, scoring six goals and helping the club to the 2013 Allsvenskan championship. Friberg spent 2013-14 with Italian side Bologna, starting five of seven appearances for the Serie A side. Most recently, the Göteborg native played 13 games for Esbjerg in Denmark. Prior to joining Seattle in 2011, Friberg played four seasons with Swedish club BK Häcken from 2007-10, leading the team with seven assists in 2009. He began his career with hometown club Västra Frölunda, spending two seasons with the youth team before making his senior team debut in 2005 and earning team Player of the Year honors in 2006. Friberg also has two career caps for the Swedish national team. The Sounders, losers of three consecutive MLS matches, return to action at 8 p.m. Friday against Eastern Conference leader D.C. United. The CenturyLink Field match is being broadcast nationally on UniMas. Say this for the Sounders: If things are going tough, they aren’t afraid to make moves.